The Tutto Gusto Wine Cellar officially opened in the Italy pavilion at Epcot today. The new wine bar is a space that was “discovered” as Tutto Italia restaurant was being remodeled (Tutto Italia also reopened today). The new location features many wines and small plates of food. Tutto Gusto Wine Cellar offers a variety of small plates, perfect for sharing, to pair with its wines. Menus feature sections devoted to simple, flavorful piccoli piatti such as bruschetta di Capri, pizze fritte, polenta funghi e taleggio. Artisanal Italian cheeses are on offer in the formaggi section, with everything from soft, creamy La Tur to salty-sweet aged Parmigiano Reggiano. Fresh hand-crafted mozzarella will be made inbufala and fior di latte styles. Also featured are cured, sliced meats in the affettati section – including prosciutto di Parma, mortadella, sopressata and more. The corkscrew-shaped cavatappi pasta is highlighted in its own section, with different preparations. 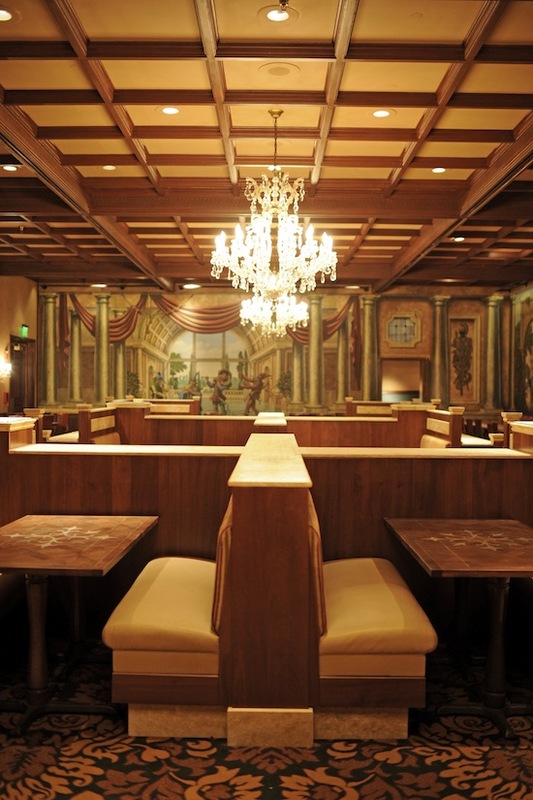 Tutto Gusto Wine Cellar was unveiled as part of Tutto Italia’s grand re-opening. The architecture of both reflect the Italian Renaissance period. Tutto Italia has been completely refurbished with a new enclosed patio to offer al fresco dining. Both the restaurant and wine cellar are furnished with authentic design elements directly from Italy including chandeliers, marble and limestone floors, wall hangings and more. Tutto Gusto Wine Cellar joined Tutto Italia and Via Napoli Pizzeria e Ristorante, also run by Patina Restaurant Group, in the Italy pavilion in Epcot World Showcase at Walt Disney World Resort. For reservations at Tutto Gusto, please call (407) WDW-DINE / (407) 939-3463.